Students and their families at Seton Catholic College have once again been very generous in their donation of items for Christmas Hampers for the St Vincent de Paul Christmas Appeal. Staff also have contributed funds so a ham could be bought to go with each Christmas Hamper. The donated items are carefully sorted by a team of staff and students who volunteer their time to ensure that a range of goods go into each basket and then they are carefully arranged and wrapped into an attractive hamper. Students and their families at Seton Catholic College have once again been very generous in their donation of items for Christmas Hampers for the St Vincent de Paul Christmas Appeal. Photos: Supplied. They are given to our local St Vincent De Paul Society who then distributes the goods to families in need in the local area. Seton College Campus Minister, Garry Burgess, has been running the initiative at the school for a number of years. 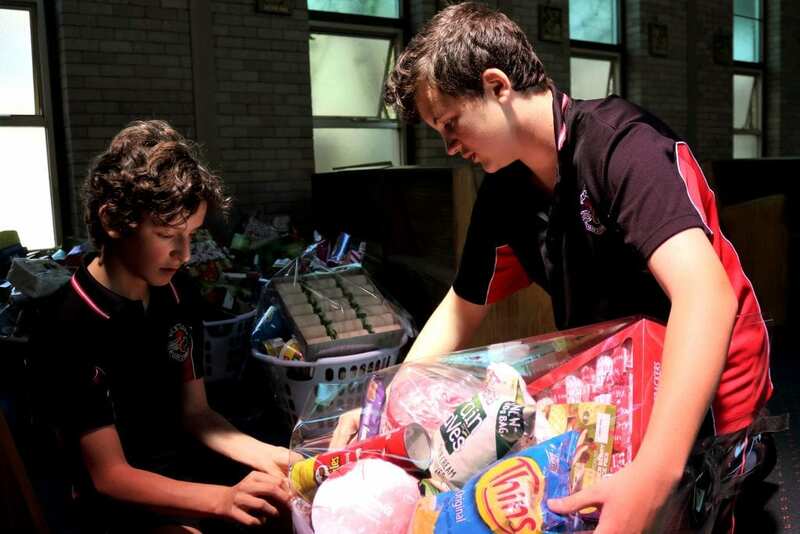 In 2018, the school had 52 laundry basket sized hampers, filled with Christmas foods, crackers and treats to go out to the community. A spokesperson for the school said staff and students get a lot of satisfaction and joy from working as a community to ensure families in the local area will have a happier Christmas than may otherwise be possible.